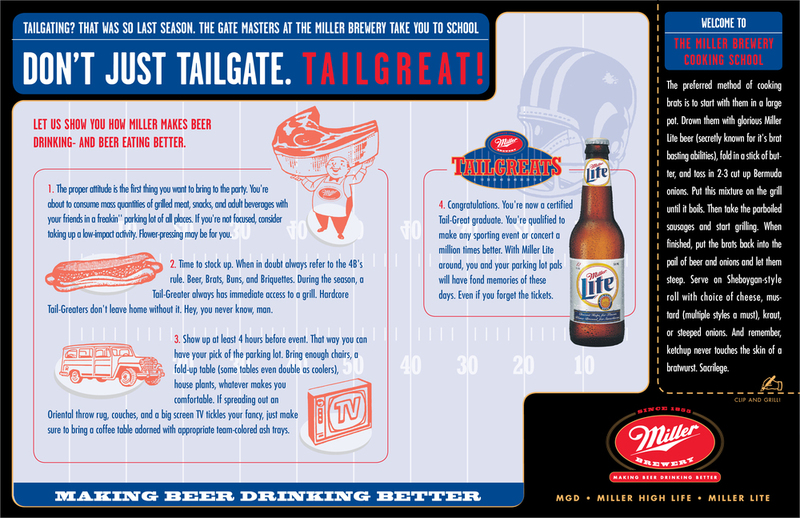 Miller continues to enhance and improve the tailgating experience that Frederick Miller invented when he put troughs and hitching posts out in front of his Plank Road brewery so as people watered their horses they could refresh themselves with one of his cold beers on the buckboards (tailgates) of their wagons. 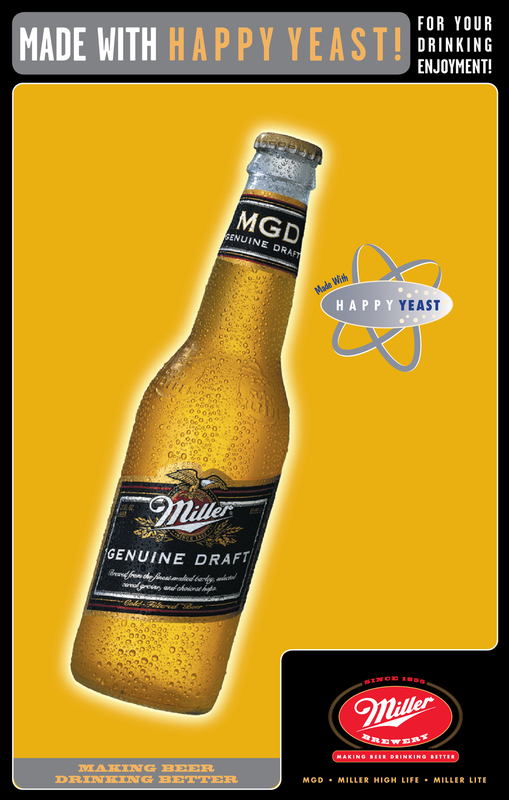 Miller still uses the signature yeast Frederick Miller brought with him from Germany—today they simply call it, "Happy Yeast." 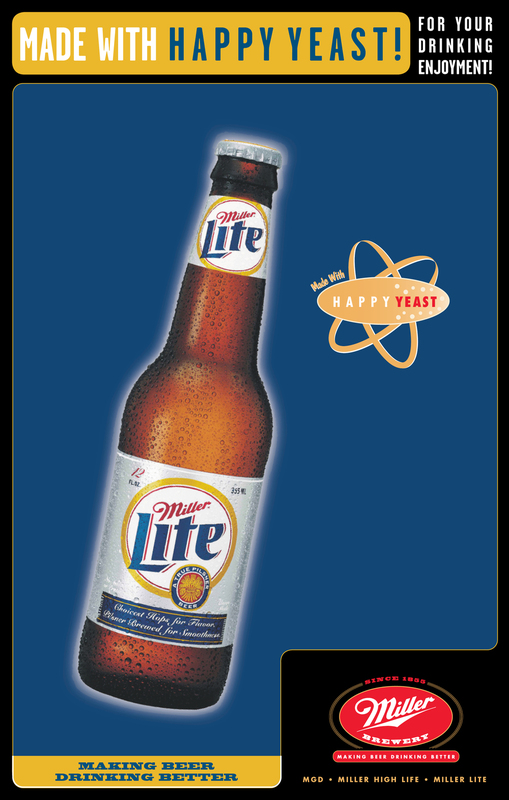 On premises (bars and package good stores) posters. Better beer drinking also means responsible beer drinking. 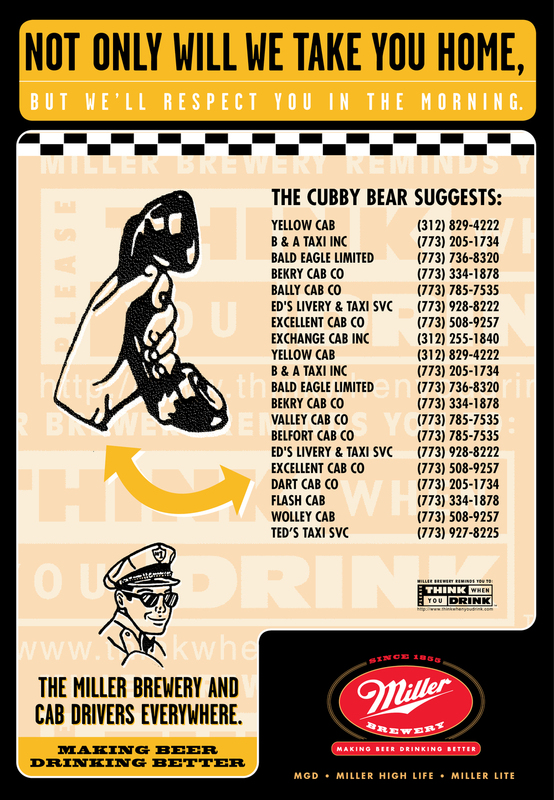 In-bar posters localized for each market.